Finally, Discover How You Can Sell Your Product on the https://www.tradebit.com Platform, Tap Into Thousands of Affiliates, and Pay Them Instantly Hands Free... Starting Today! If youre worried because you’re not technical savvy, then don’t be. Simply watch over my shoulder as I show you step by step how to setup your product on DigiResults from start to finish. In this particular introduction video, you will learn what tools you will need to get the ball rolling with setting up your product onto the DigiResults platform, and a quick overview of how the system works as a whole so that you can put the system together faster. Now it’s time to figure out exactly what you are going to need to have in hand so you can properly begin the process of setting up your product onto DigiResults, whether you are selling a one-time fee product or a recurring income product. Before you can start setting things up onto DigiResults, it’s best to start drawing out what your sales funnel should look like, so you know how many upsells and downsells you will need which then shows you what you need to do next. Now its time to gather your sales page, thank you or download page, and possible affiliate pages. You see, after your customer purchases your product through your main sales page, they are going to need to be redirected to your download or thank you page. Ever wondered how to connect your downloadable files to your thank you page? In this video series, we will primarily cover one product. However, if you have a lot of upsells and downsells, you will need more sales pages and thank you pages and we’ll still point you in the right direction. But it’s important to connect them all together beforehand. You’ll also learn how to upload your files once they are ready. Ready to setup your product onto DigiResults? Now that you’ve gathered all your pages, in this specific video we will go over the Digiresults product section so you know what is required and what options you have. This way you can make the decision as to whether to check or uncheck certain options to help your one-time fee or recurring product make the most profits. Before you can upload your sales page and your thank you page, you need to create a DigiResults payment button and add that to your sales page. In this specific video youre going to learn how to create the proper DigiResults payment button so that everything is working properly. This will enable you to create an automated system that allows you to run your online business 24/7. After you do this, you’ll re-upload all your files so you can be closer to finishing this setup process. This video helps you figure out how to use the DigiResults affiliate system effectively so everything runs smoothly. It also shows you how to increase profits for your affiliate program by setting up affiliate promotional tools and where you can outsource them so you can help take your product’s profits to the next level! 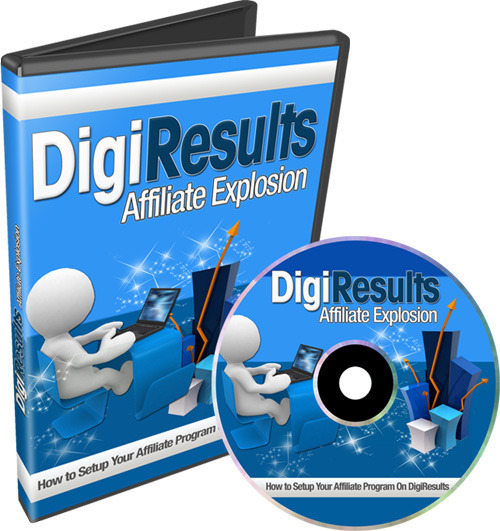 Digi Results Affiliate Explosion (with Resell Rights) digi results affiliate explosion 242333457 20.97 resellrightsvideos Fresh Download Available!